Volkswagen Up! A small car from Volkswagen was again spotted out in Mumbai, this time without any covers or wraps. But for all those who believe this may because carmaker is doing their test runs for the upcoming Auto Expo launch, there are rumours that this will not happen. News is that this car may not even come to India. Reports are that the Volkswagen India is still having second thoughts over the launch of this hatchback as it is facing challenges with Volkswagen Up Price. The trade experts feel that VW will have keep the price of this small car in between Rs 3 Lakh to Rs 4 lakh if it has to stay competitive in India. However, Volkswagen Up has a lot in store for the European car market. It is a car which will come with the most heritage brand Volkswagen. This car is coming with both Petrol and diesel engine and it is expected to even come in electric and hybrid concept. This is the smallest car ever launched by Volkswagen. If at all it makes it to India this car will surely give a challenge to Maruti Suzuki’s A-Star. It is said that it will become the first choice of as it is powered with the 1 litre of petrol engine and will be offered with 2 engine tunes and each of these will deliver 59BHP and 74 BHP maximum power. 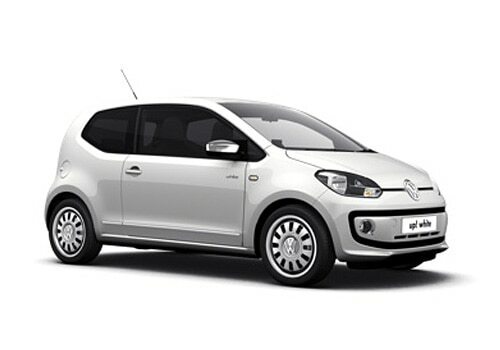 Volkswagen Up Review says that it’s an amazing hatchback. It is loaded with some amazing features and good safety features like Anti-theft system. Volkswagen Up picture are bound to impress people. Simply this car is small dynamite. This will surely liked by the young generation. The car has a classy and beautiful interiors and exteriors, which make it loveable by all generations. It will give a tough competition to its own class and segment cars.